When you need to tow heavy machinery, equipment, or a trailer, the 2019 Ram 1500 is up to the challenge. Properly equipped, it has a maximum towing capacity of 12,750 pounds, making it stronger than the Chevy Silverado 1500. 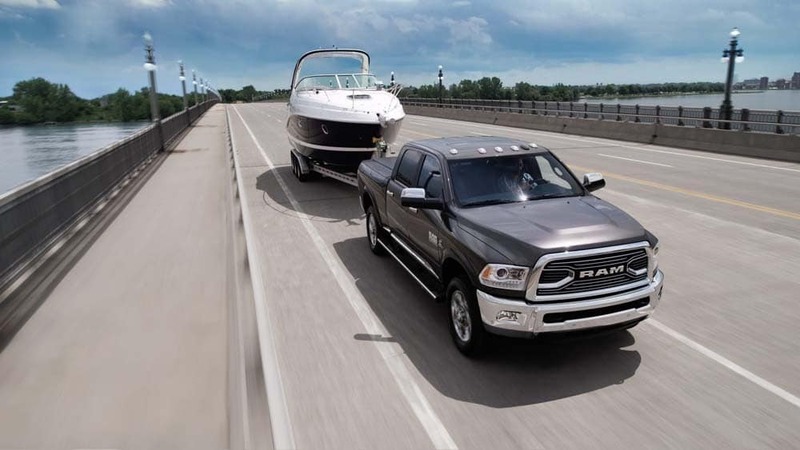 Learn more about the 2019 Ram 1500 towing capacity and towing features below! 3.6L PENTASTAR V6 Engine with eTorque: With this engine, the Ram 1500 generates 205 hp and 269 lb-ft of torque. Towing maxes out at 7,730 pounds. 5.7L HEMI V8 Engine: Moving up to the 5.7L HEMI boosts figures to 395 hp, 410 lb-ft of torque, and 11,610-pound max. towing capacity. 5.7L HEMI Engine with eTorque: This engine produces the same specs as the one before it, but ups towing capacity to 12,750 pounds. TorqueFlite Transmission: Standard and class-exclusive, this 8-speed automatic transmission works seamlessly with the eTorque mild hybrid system, and helps make shift changes more efficient. Largest-in-Class Brakes: The Ram 1500 includes 14.9-inch brakes, so you can stop your truck and cargo on a dime. Blind Spot Monitoring with Rear Cross Path and Trailer Detection: This available system scans your blind zones, so you can change lanes safely. Best of all: it automatically accounts for the length of your trailer. 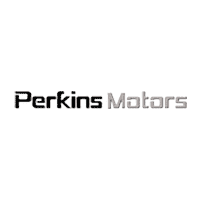 See What Else the Ram 1500 Can Do at Perkins Motors! The 2019 Ram 1500 towing capacity is just one aspect of its versatile performance! Contact us at Perkins Motors to schedule a test drive in Colorado Springs, and put the 2019 Ram 1500 to the test. Ready to buy now? Explore our current offers and incentives, or value your trade online. Or, if you need a pickup truck with a little more power for your needs, check out the Ram 2500 towing capacity. What is the Towing Capacity of the 2018 RAM 2500?